Int’l Svc: World Community Svc Comm. A World Community Service project is born when Rotary clubs from two or more countries join together to accomplish a community service project. The WCS program links Rotary clubs needing extra help with clubs in other countries that are willing to provide funds, materials, and technical and professional assistance.? The World Community Service program was officially launched in 1967. 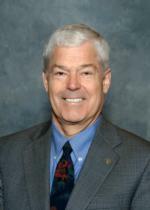 Since then, thousands of WCS projects involving Rotarians around the world have been completed. Each year, Rotary clubs provide an estimated US$26 million in funds and supplies. 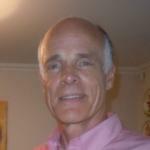 John Martinka updated our club members about an international project in Borjomi, Georgia. This was a joint project in association with Bellevue Lunch. We supported with funds the donation of a mini-van to a day center that supports children with disabilities in the area. 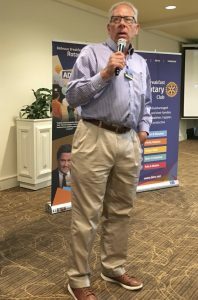 John shared with the club a video of the day centers work and its impact – watch the video by clicking the yellow button to learn more. The committee has been busy overseeing that the funds raised for these initiatives (over $20,000) are wisely spent and support the strict criteria around oversight, Rotary involvement on the ground and are sustainable for the long term benefit of the community. Our thanks to the committee’s dedication in support of our global initiatives. BBRC members learned about the CIREC project that is based in Columbia. We will be donating a total of $5,000 to the project as it rolls out. 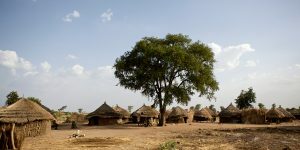 In Phase One, BBRC contributed with $1,000 and through leveraging mechanisms, the total amount of this project was $8,000, benefiting thousands of people, most of them victims of personal mines. This project mapped squarely to our Rotary peace area of focus and was led by the Lake Forest RC in partnership with RC Santa-Fe in Colombia and us. Another excellent example of how Rotarians coming together can make an impact in the cause of Peace. 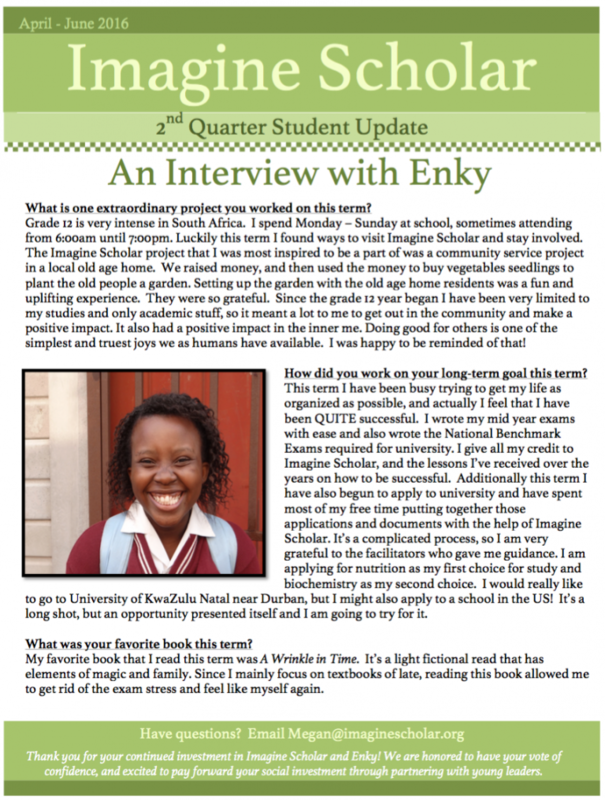 Imagine Scholar - Update from Enky, our sponsored student. 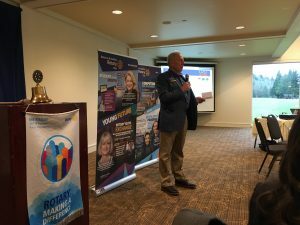 Hello Bellevue Breakfast Rotary Club – Happy October! Attached is your quarterly update on Enky. If you have any questions for her or wish to write, please feel free utilize me as a liaison. Enjoy! We hope this message finds you well. Firstly, we’d like to share our exciting news! Imagine Scholar’s new and improved website is now live: imaginescholar.org Please check it out and let us know your thoughts. More importantly, attached is your second quarter update from Enky. Enjoy! If you have any questions for Enky or would like to write her, please feel free to utilize me as your liaison. I’d be thrilled to help you get to know her more. Malaria 100% Participation Drive with Club Match! We will be kicking off our 100% participation drive today. One of these wonderful pins can be yours for just $2 – which Paul C is hoping that you’ll limit yourself to, because he committed the club to a Match! However, we all know that BBRC members always go above and beyond, so the suggested donation to the ‘Pledge to End Malaria’ campaign is $20, and several folk have paid much more (thanks!). Donations should be made through the Foundation. Please wear your pin with Pride. Are you rich enough to throw away $25? 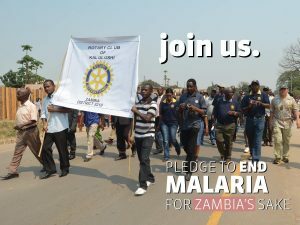 If so, put it to better use and support the BBRC’s efforts to raise awareness within Rotary International for Malaria. We’ve donated to this cause as a club, because it’s important work – but you can throw in a few bucks more – just because you can! 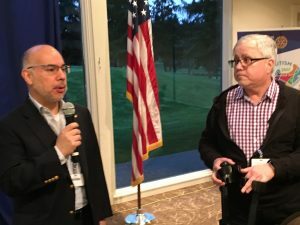 The Rotarian Malaria Partners are local – we’re based in Seattle, and yes, I’m a board member so you can be assured your money will be well spent! There is no description yet - add one!